Born to Diya Kumari and Narendra Singh, Padmanabh Singh was adopted by Bhawani Singh, his maternal grandfather, as his heir in 2002. Although royal titles are abolished in India, he was informally crowned as the King of Jaipur after the demise of Bhawani Singh. The throne was passed to him at an early age of 14 years under the guardianship of his maternal grandmother. At the age of 18 years, he was given the sole responsibility of his family estate. Padmanabh Singh acquired his education from Mayo College in Ajmer and Millfield School in Somerset, UK. Following the steps of his grandfather and great-grandfather, Padmanabh Singh is a commendable Polo player. He has even led the Indian National team at Hurlingham Park in 2017. It was India’s first visit to the place in over 70 years. The last successful tour of the Indian Polo team in the UK was led by his grandfather, Bhawani Singh. It is said Hard work always pays. So is the case with the young King. In an interview, he revealed, “I spent six months playing polo in England. Then I traveled a lot in America, South America, Thailand, and a few other places.” He has really done backbreaking work to excel in the sport. He is indulged in playing Polo most of the time while his sister Rajkumari Gauravi stays away from the public and media and concentrates mainly on her studies. Our charming King has a news-making personality. He captures the headlines wherever he goes. There was a Ball dance at Le Bal in Paris where 20 debutantes danced over the weekend. 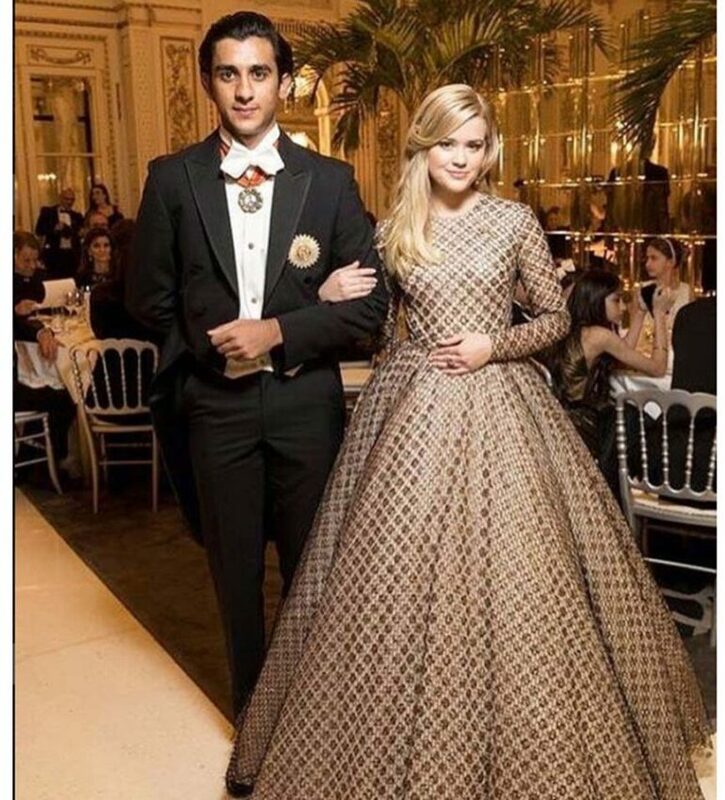 King Sawai Padmanabh Singh matched his steps with the Hollywood princess Ava Elizabeth Phillippe who was adorned in gold Giambattista Valli ballgown. The scene resembled the fairy tale where Cinderella dances with her Prince Charming. The nation gives its blessings to the youngest King that he keeps making his country proud.